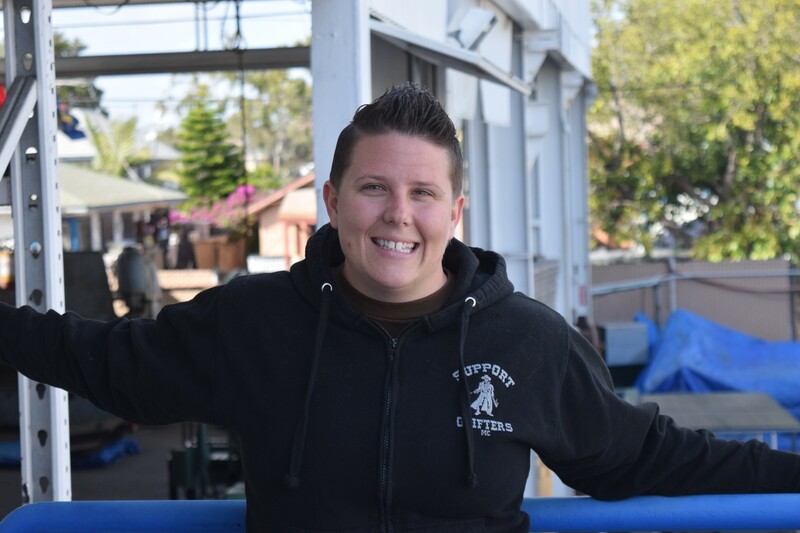 Rachel is one of our veterans who bounced around after her time in the military and tried a lot of different career paths before finding Workshops for Warriors. Rachel is a Chicagoland native and was active duty Navy for 4 years as well as part of a combat tour in Afghanistan in 2010. Rachel actually earned a scholarship for basketball to play in college, but ended up leaving to join the Navy where she then played all-Navy basketball. After her service she went back to school to get her undergrad in nursing before deciding she needed a break from that lifestyle, at which time she decided to join the Army. After her time in the Army Rachel ended up getting married and became a commercial diver, but quickly realized that the job was too seasonal to make work. Fortunately, she found a full-time job. Rachel admitted that having a job and meeting Tom Hughes was very lucky and an opportunity that not many veterans get, but it was actually a while after her military service that she made this connection. Despite having a full time job, Rachel still wanted to attend Workshops for Warriors because she wanted an opportunity to start a career in welding. “I love the community in the machining world. I love being in a workshop full of guys. The community in nursing was not for me. In the military I fit in a lot, but in the private sector when I got out it was such a difference,” she said. Although Rachel says she may go back to nursing someday, the post-traumatic memories it used to bring up was enough to tell her that she needed a break, and Workshops for Warriors was the right move. Rachel is currently a Shielded Metal Arc Welding student and hopes to weld in the future.